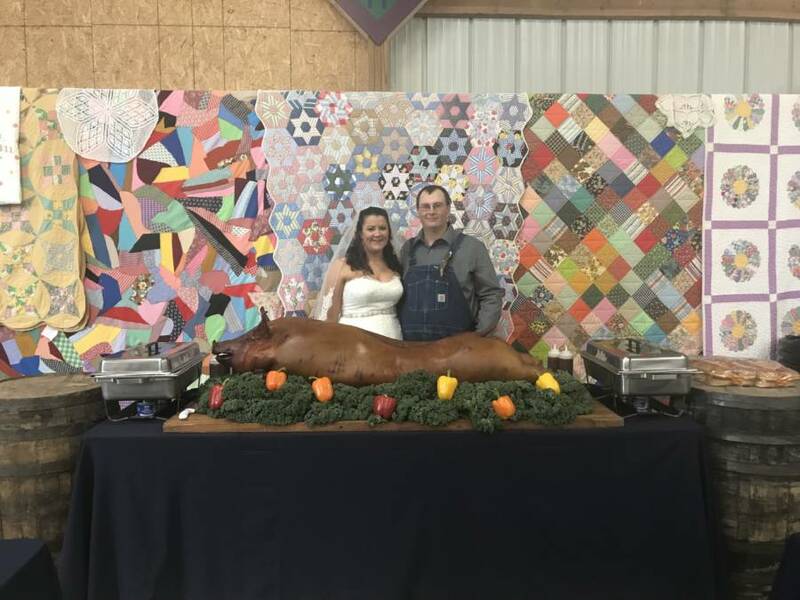 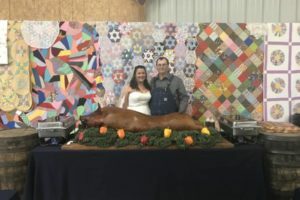 Brent Weatherwax, head caterer of Pappa Bear’s Catering from Dewig Meats is a true, one of a kind cook. 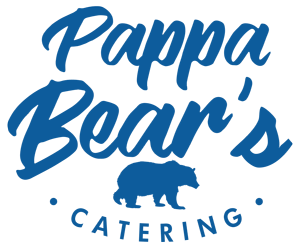 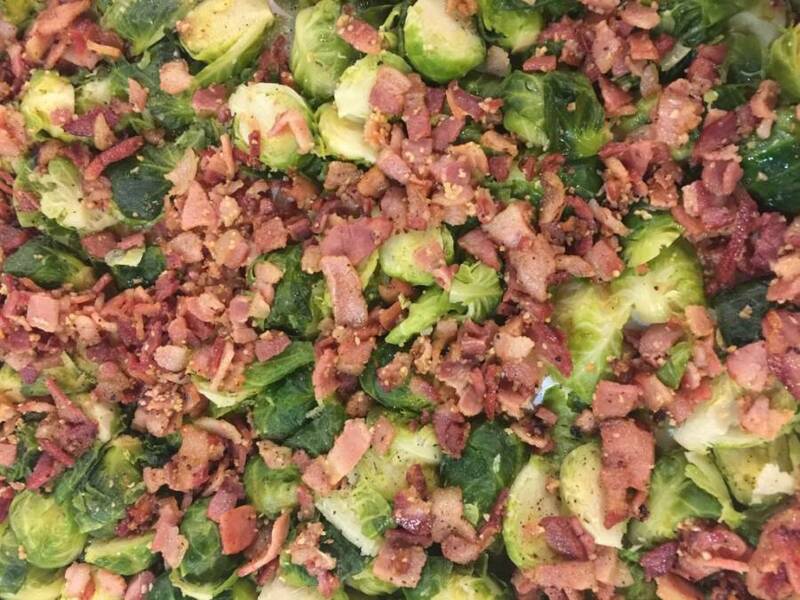 Pappa Bear’s Catering from Dewig Meats offers many varieties of beef, pork, chicken, salads, side items, desserts, paperware, drinks, and more for your next event. 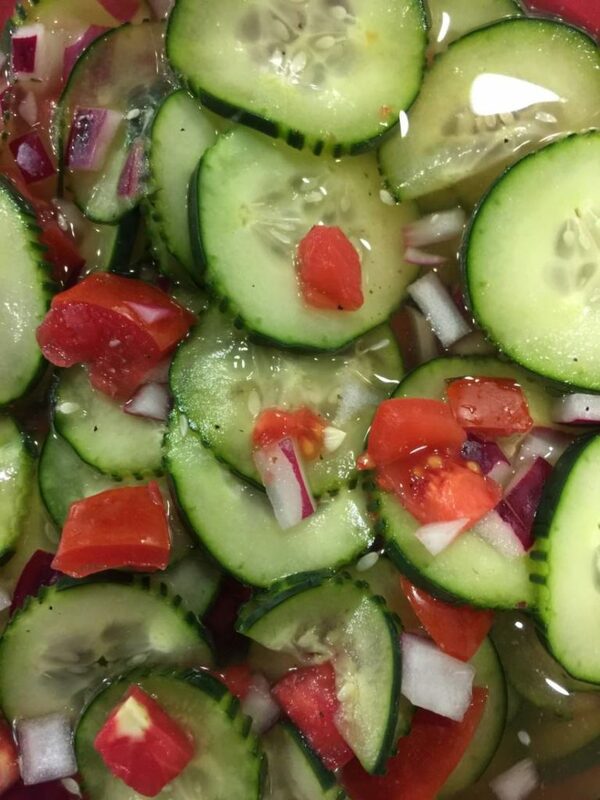 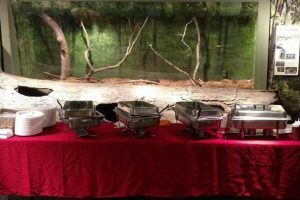 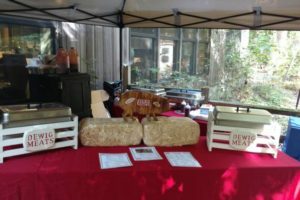 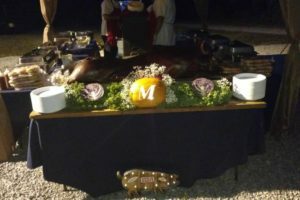 Many options such as on-site catering, pick up meals, whole hog caterings, and NEW heat and eat entrees and side items can all be viewed below. 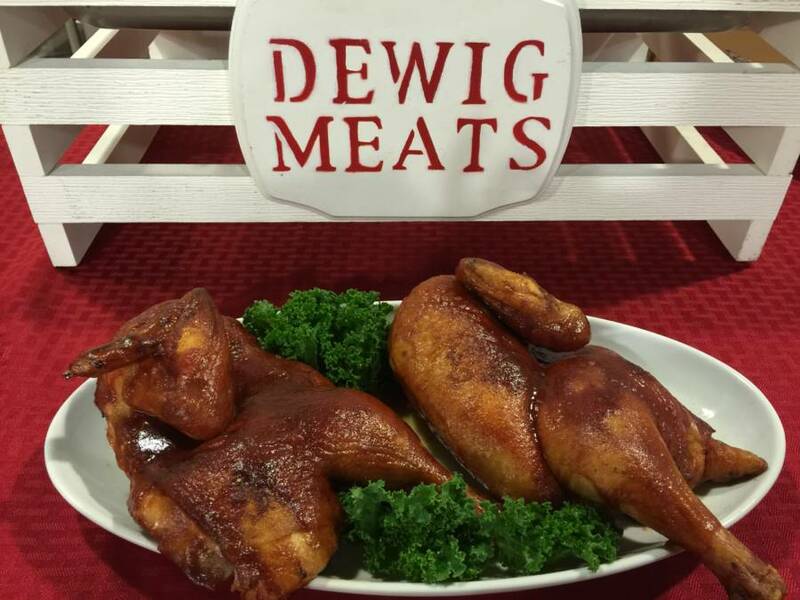 You can feel confident with your meal coming from Dewig Meats. 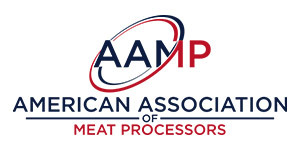 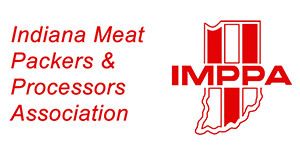 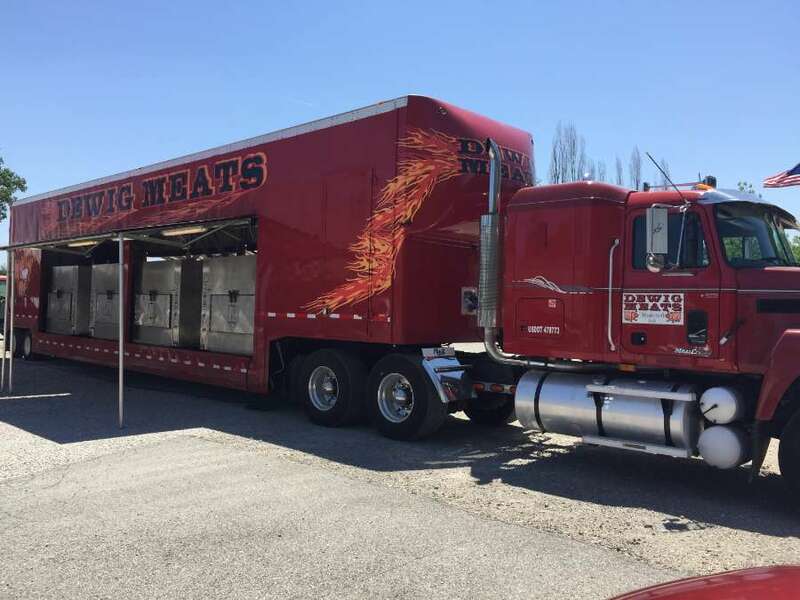 We have been in the meat business for 101 years and have won numerous awards for our high quality meat products, all of which are used in our famous catering entrees and side items. 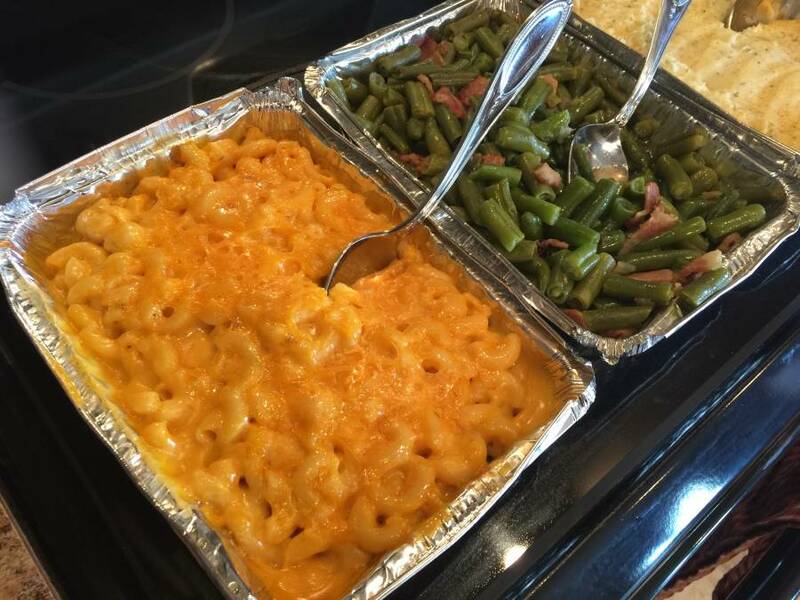 No party too big, no party too small. 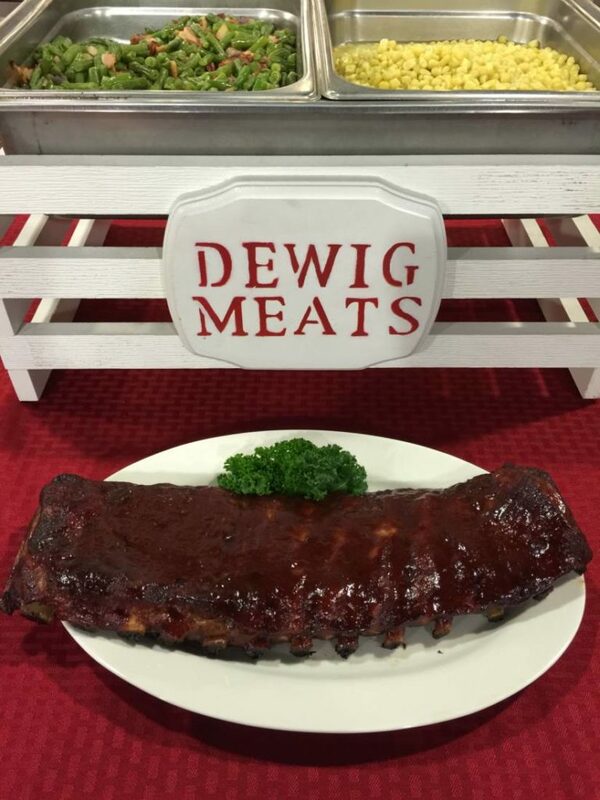 Think of Dewig Meats for your next get-together. 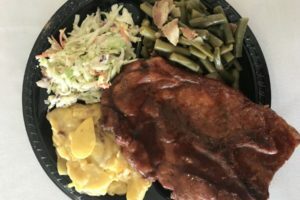 Like our delicious entrees and side items? 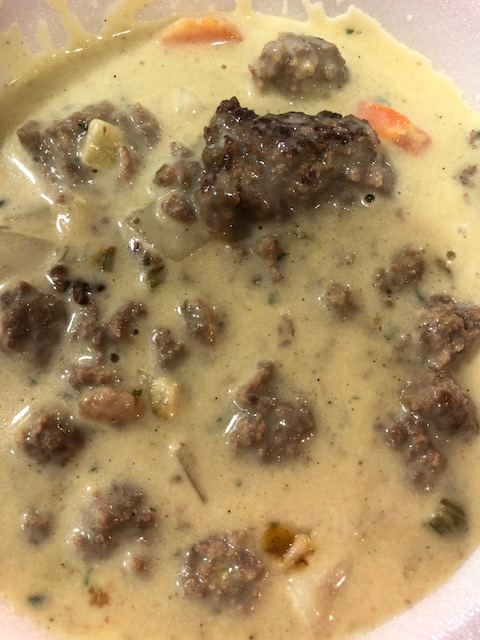 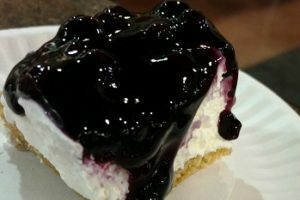 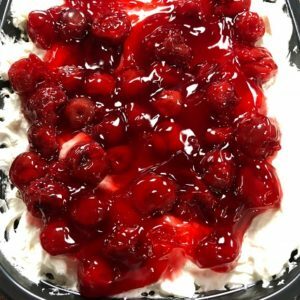 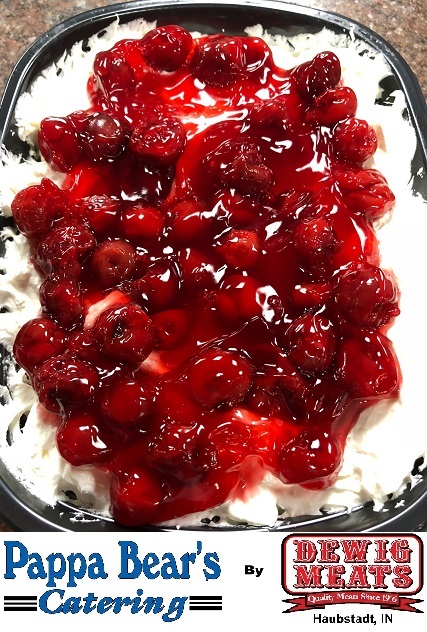 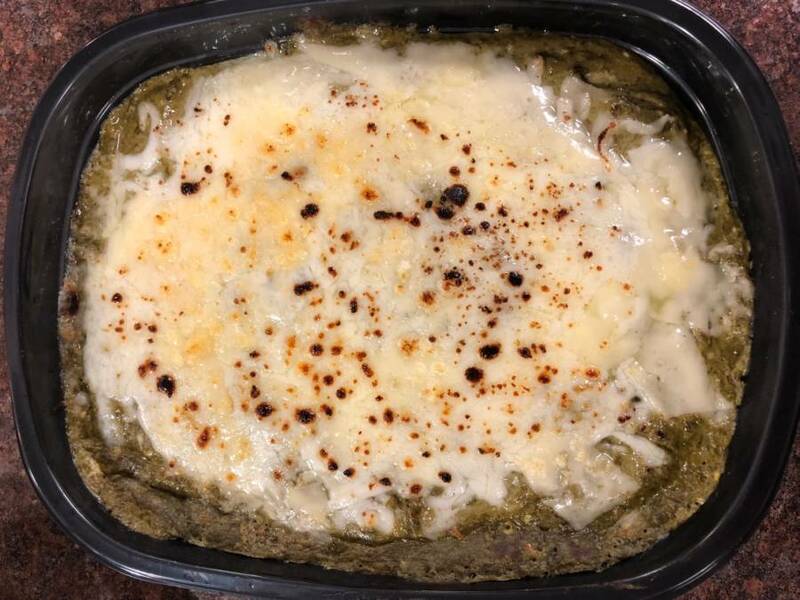 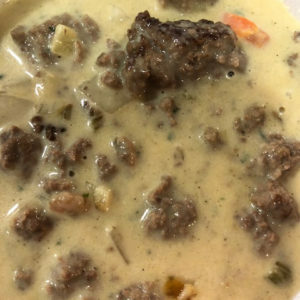 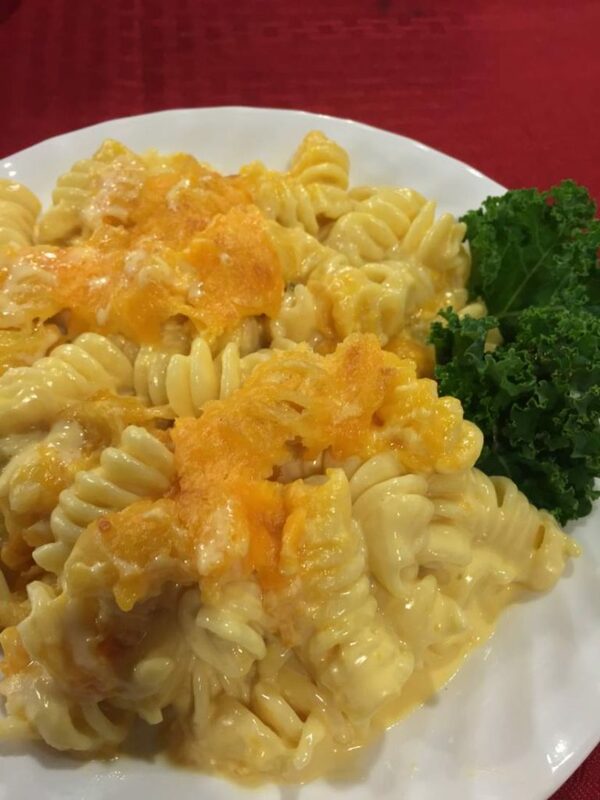 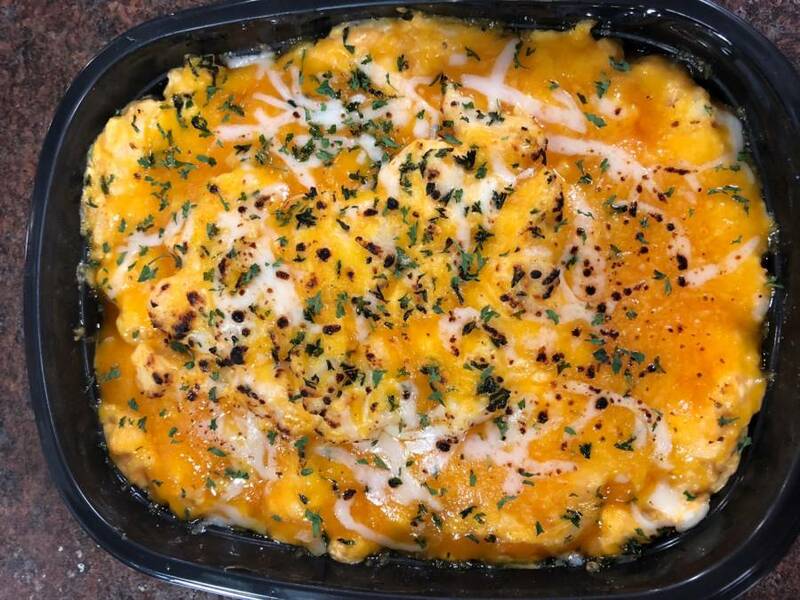 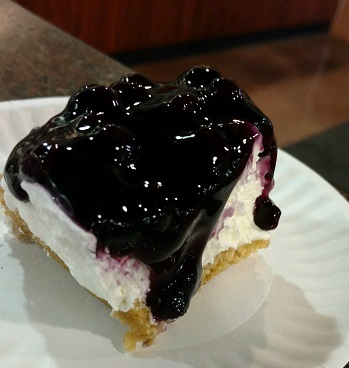 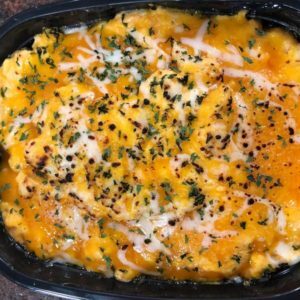 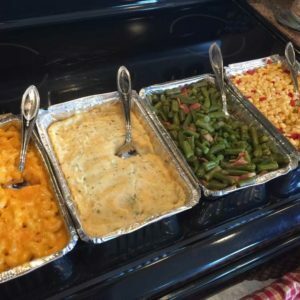 Stop in today to check out Brent’s shepard’s pie, fried corn, twice baked potato casserole, mac and cheese, broccoli and cheese casserole, blueberry fluff and many more! 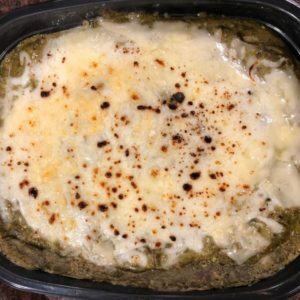 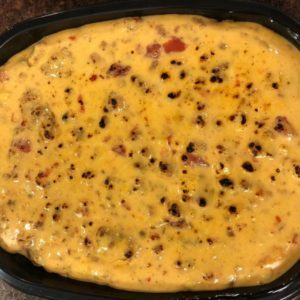 All items come frozen and can be reheated in either your microwave or oven… delicious AND easy! 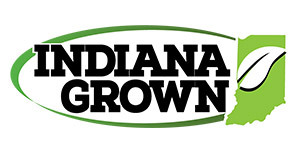 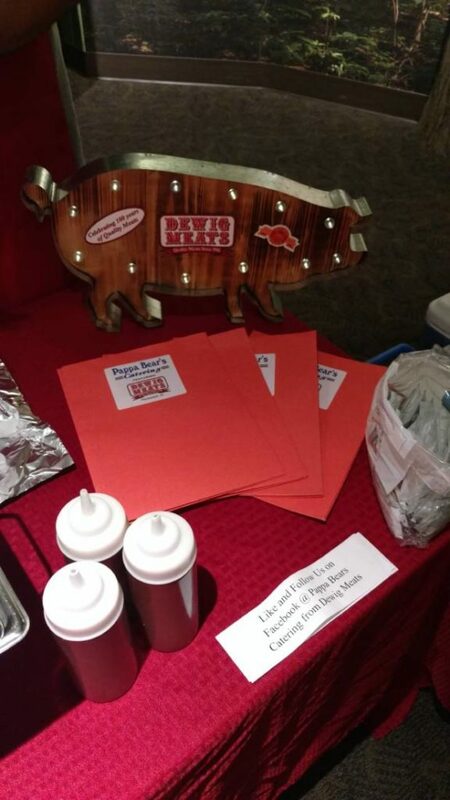 Use our form below or Call Brent at 812-768-6208 today to talk about your next graduation party, company get together, customer appreciation dinner, anniversary party, or any other event! 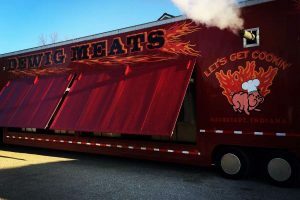 Be sure to impress with our BBQ Semi and Smokers at your next event. 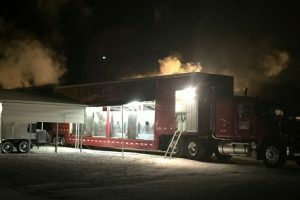 No party is too big with these amazing machines! 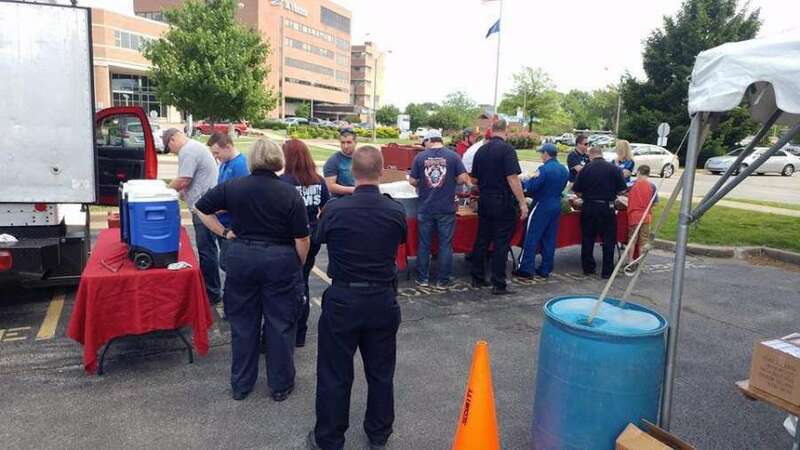 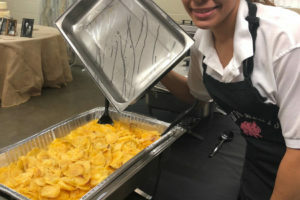 Catering for thousands of people at a time is no problem for our crew! 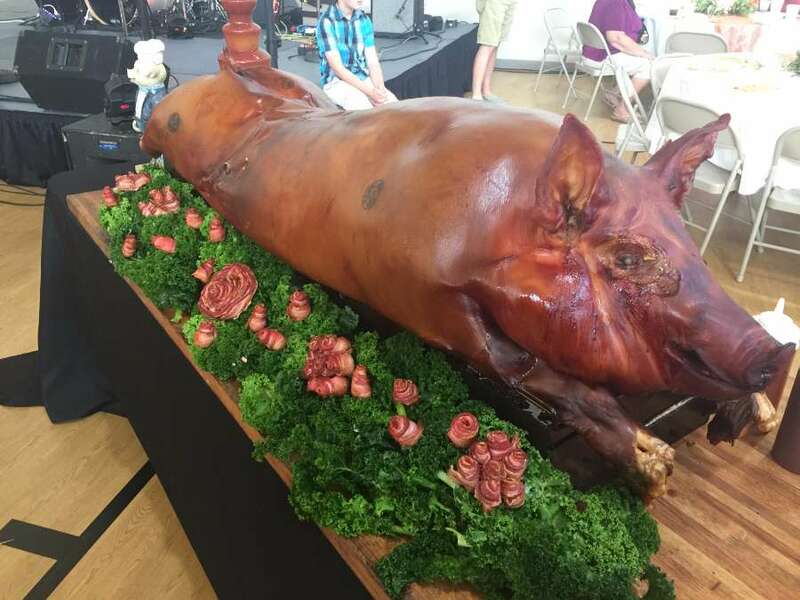 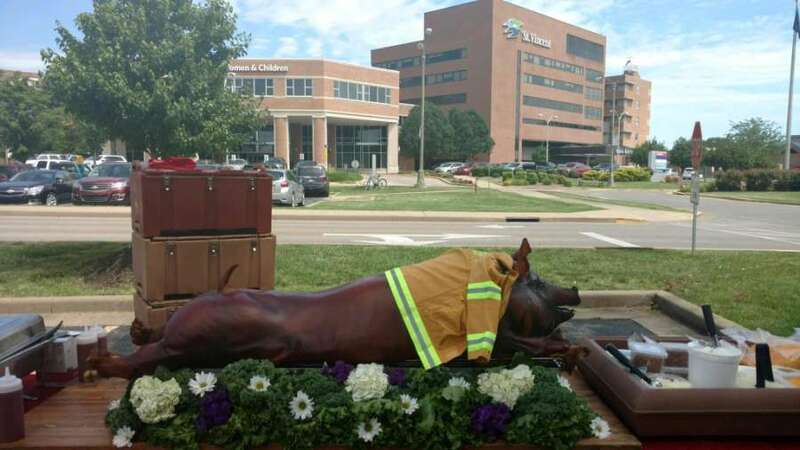 Wow your guests with a whole hog! 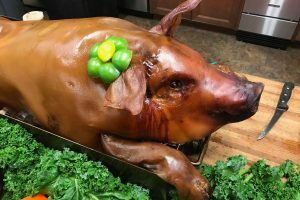 Your hog will be smoked “Low and Slow” for over 18 hours which ensures that all the juices and flavors stay within the meat. 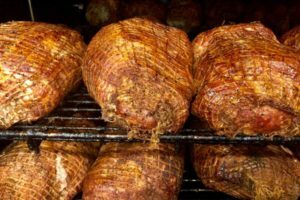 Enjoy moist, flavorful pork with the smoky goodness of hickory. 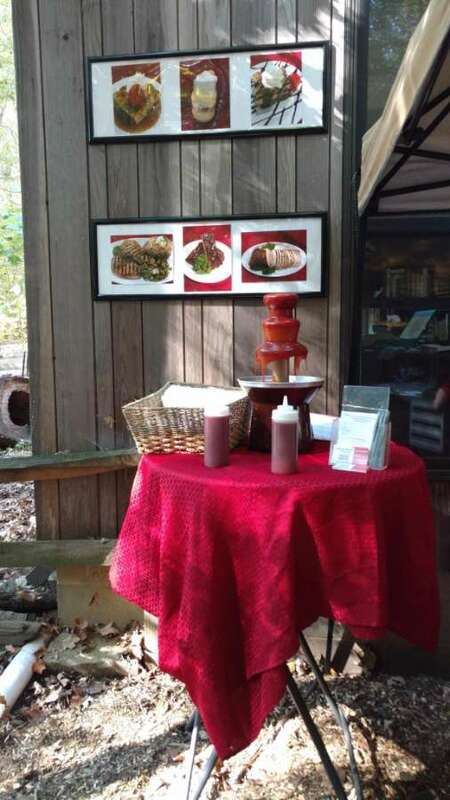 You and your guests will be impressed by our professional presentation,and then amazed with the flavor. 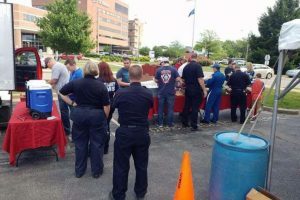 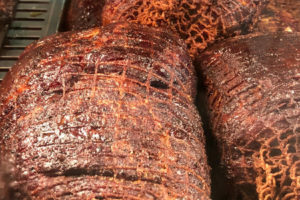 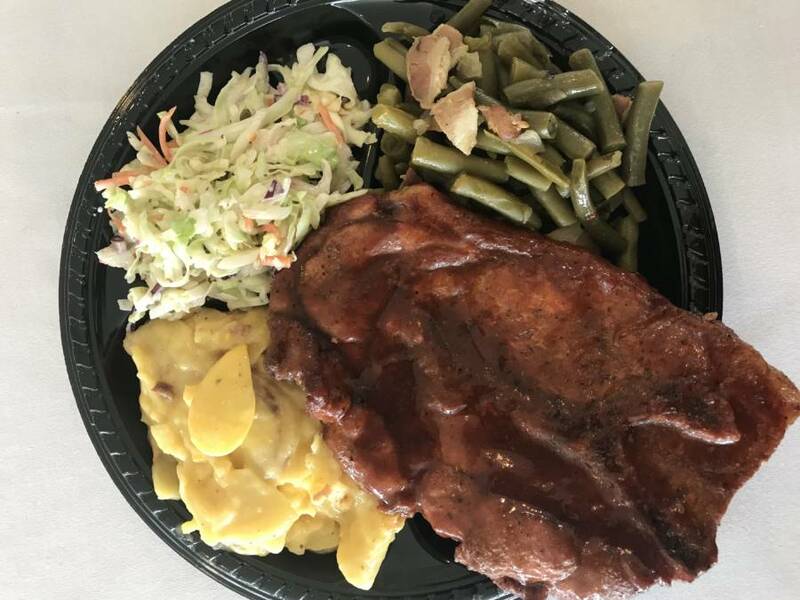 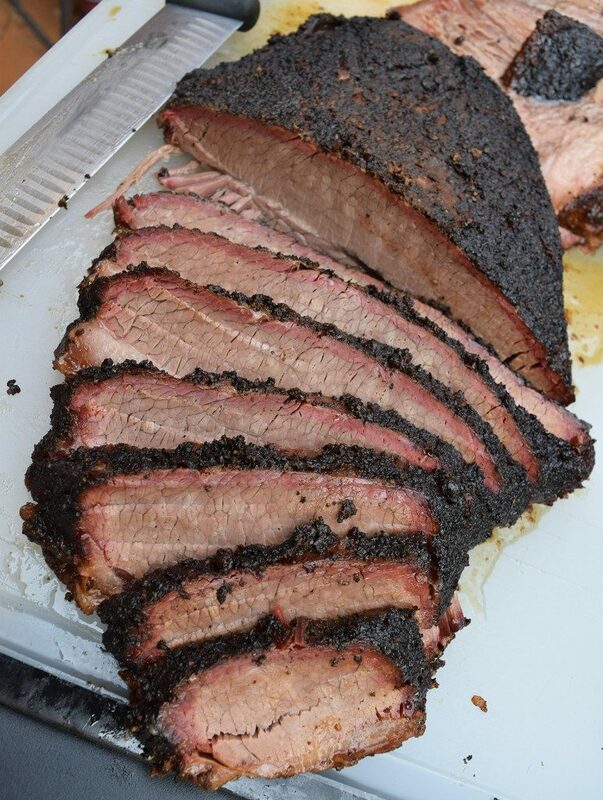 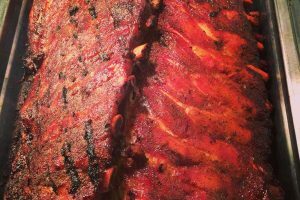 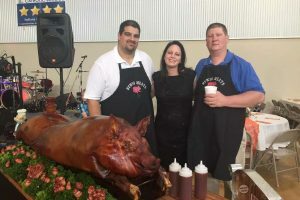 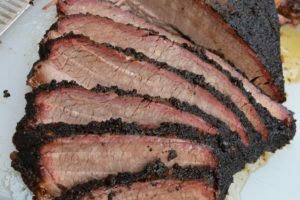 Whether your event is looking for hand sliced beef brisket, smoked pork chops, ribeye steaks, pulled pork BBQ or baked chicken, Pappa Bear’s Catering by Dewig Meats has you covered. 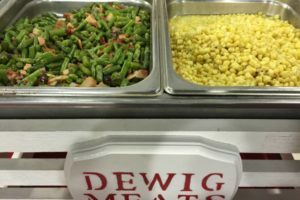 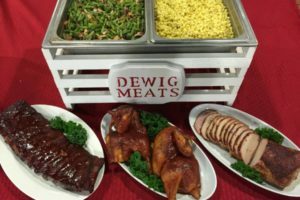 All items are prepared and cooked at Dewig Meats following family heirloom recipes. 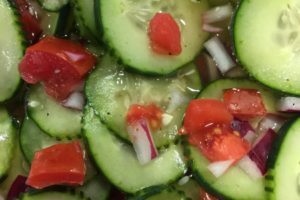 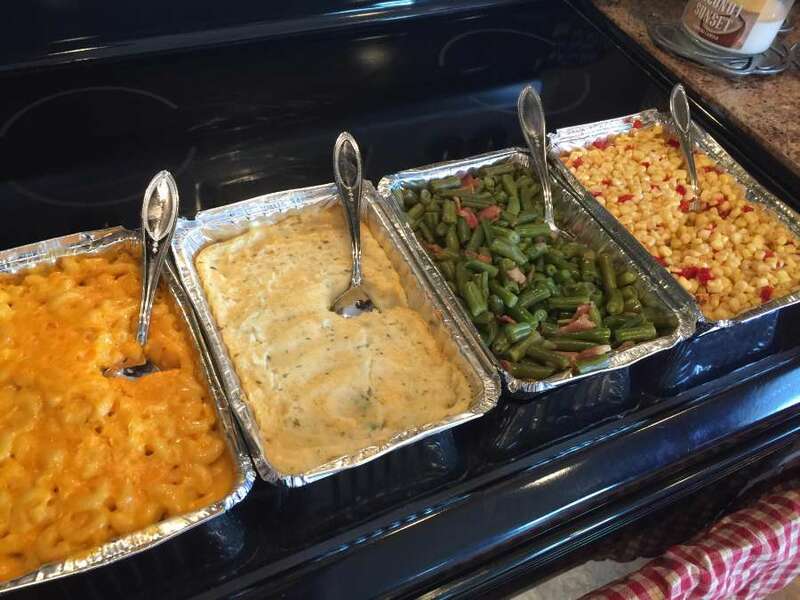 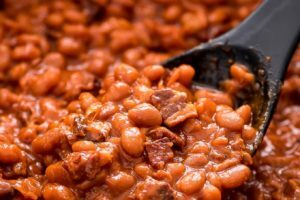 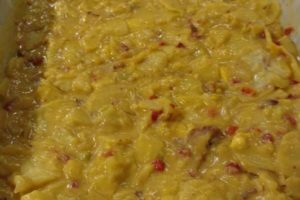 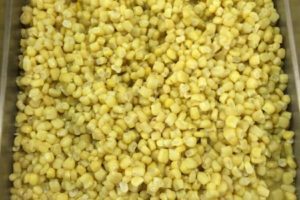 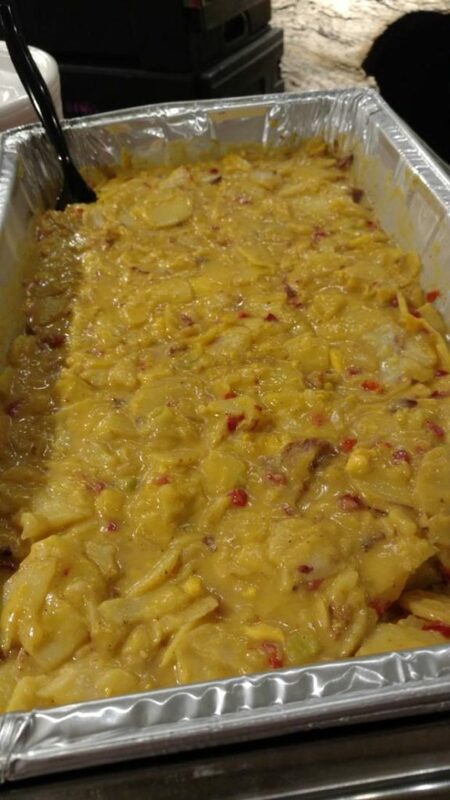 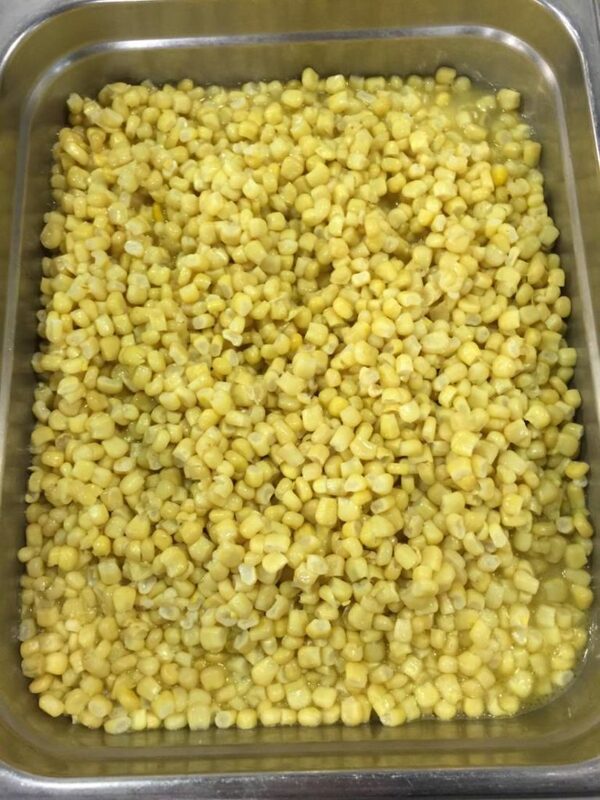 Fried Corn, Augratin Potatoes, Cucumber Salad, Baked Beans, Potato Bars, Side Salads, Macaroni & Cheese, Potato Salads among many are popular choices and fan favorites. 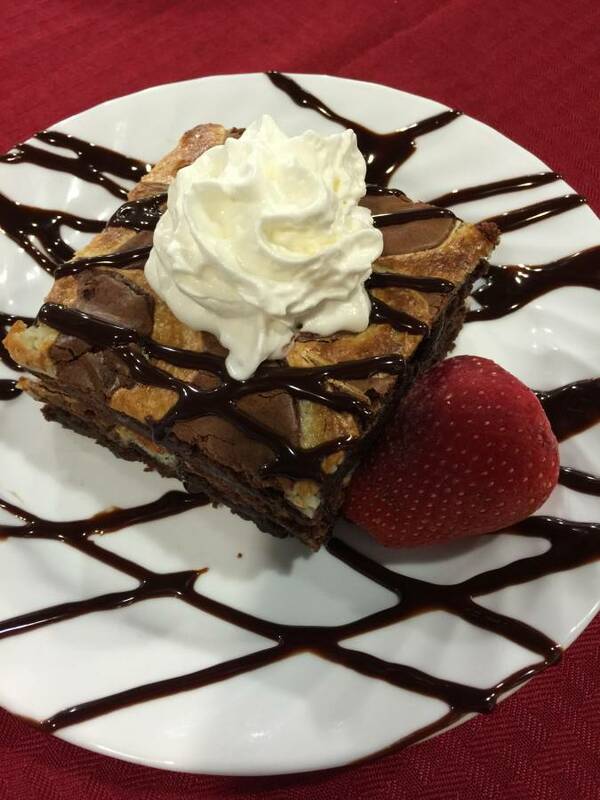 Every good meal needs a good dessert! 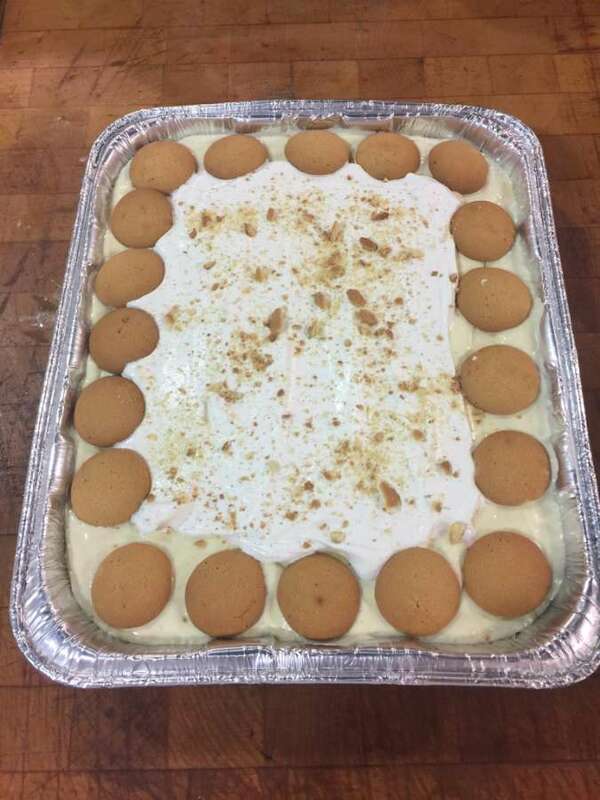 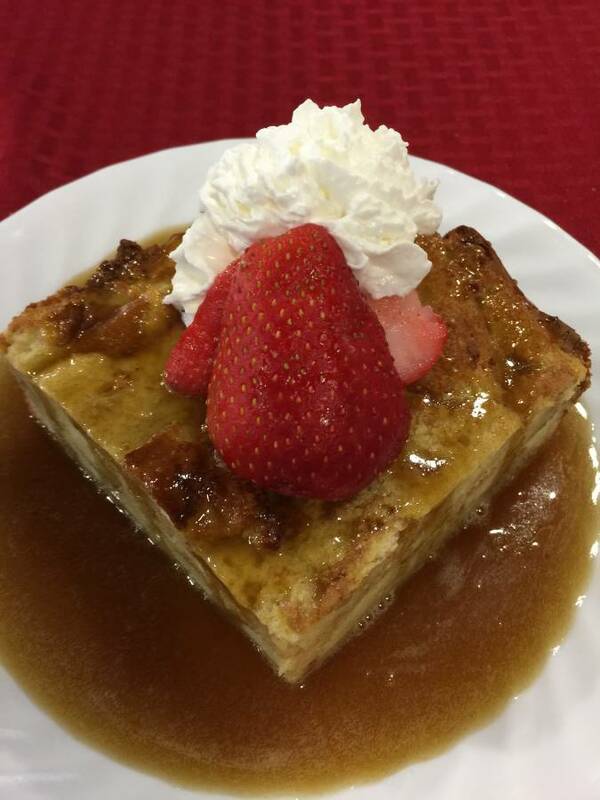 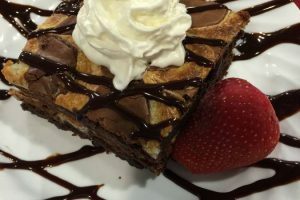 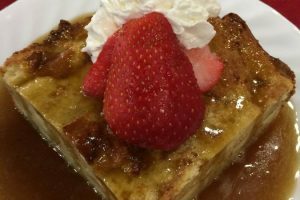 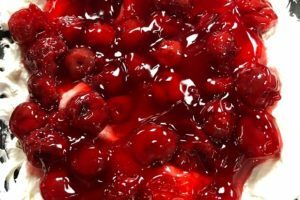 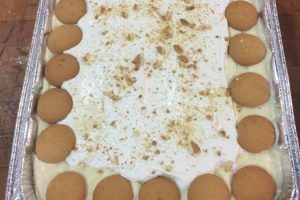 Some of these tasty endings include Homemade Bread Pudding, Blueberry Fluff, Banana Pudding, Brownies, Cookie trays and Banana Bars. 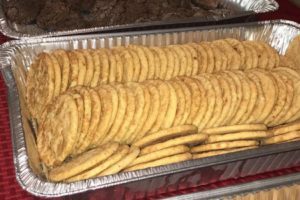 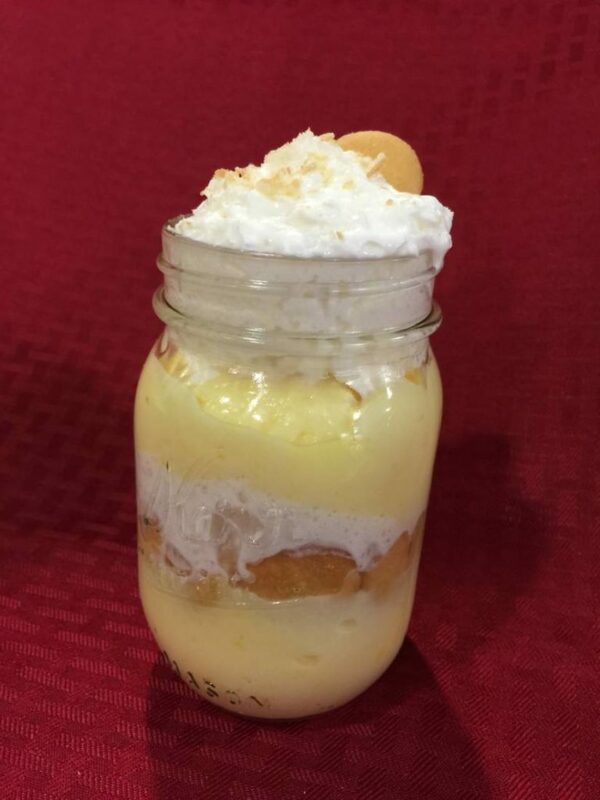 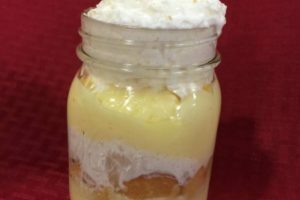 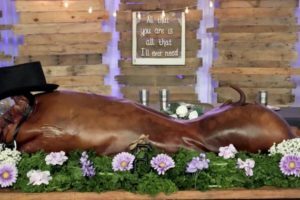 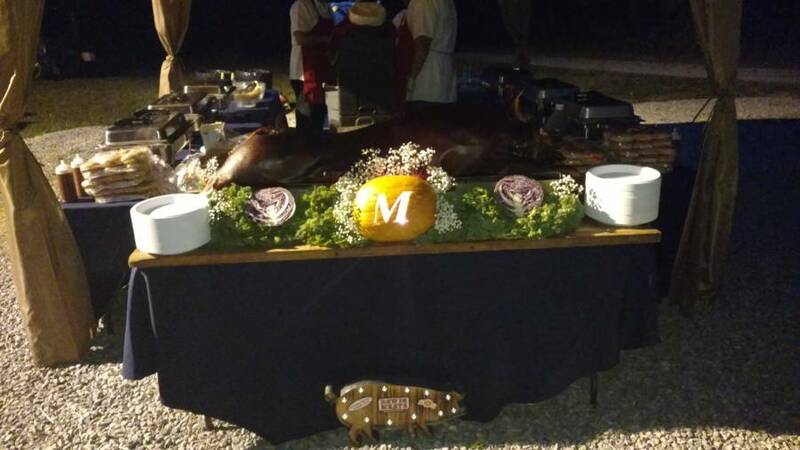 Whether you are needing a fancy presentation, a country ho-down theme, or a “good and plenty to eat” event, we are prepared to help with your catering theme. 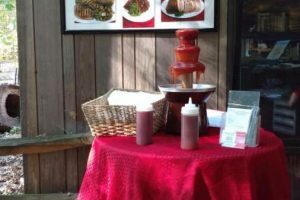 Let Brent know your ideas and watch us dress up your meal to fit you event needs. 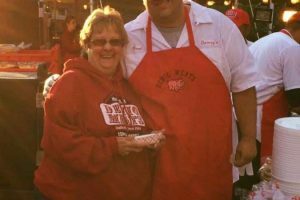 Happy Customers become returning customers, and we know that! 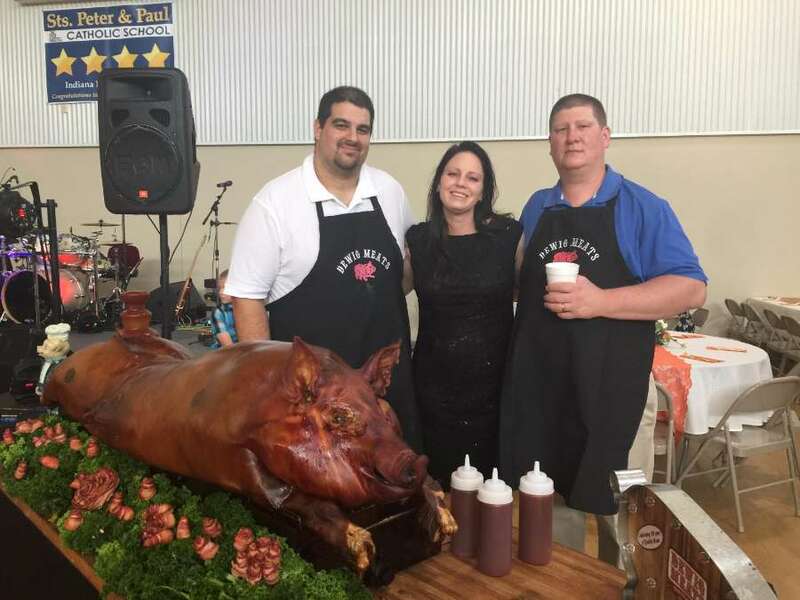 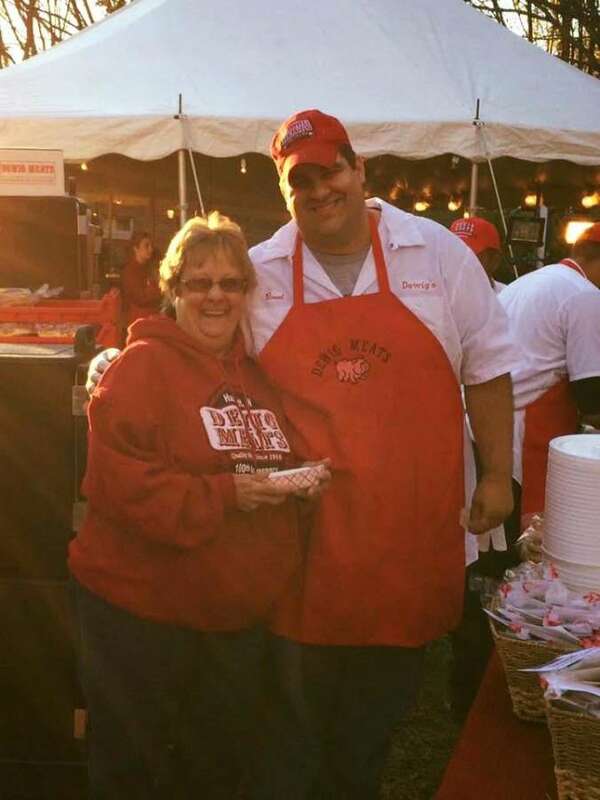 Brent Weatherwax, head caterer & Pappa Bear himself along with our friendly and professional staff will assist to make your attendees as happy as we are. 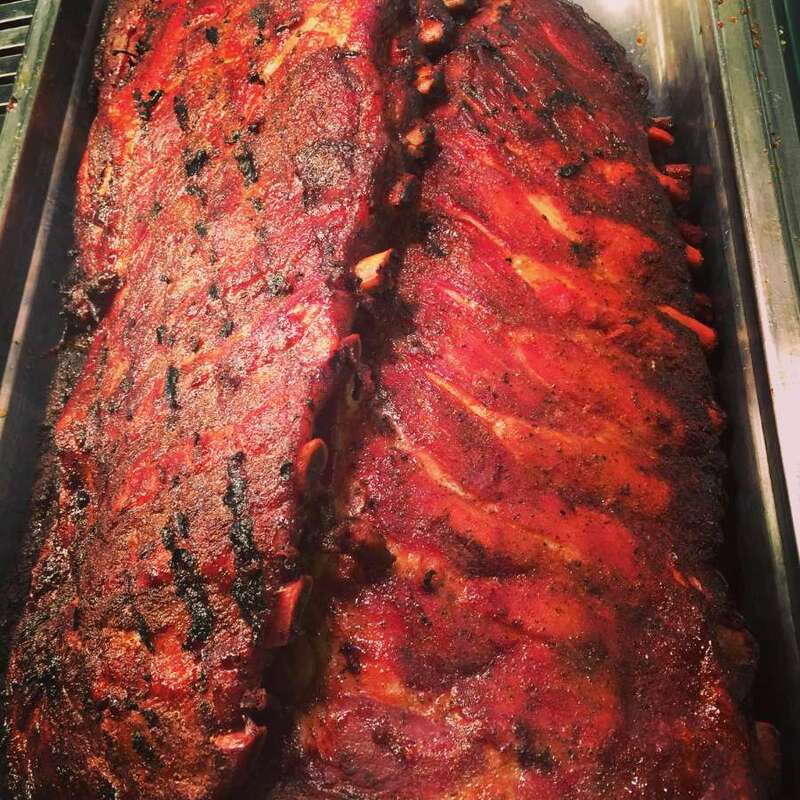 It’s easy to be happy with good food, and it’s just as important to have good and friendly service. 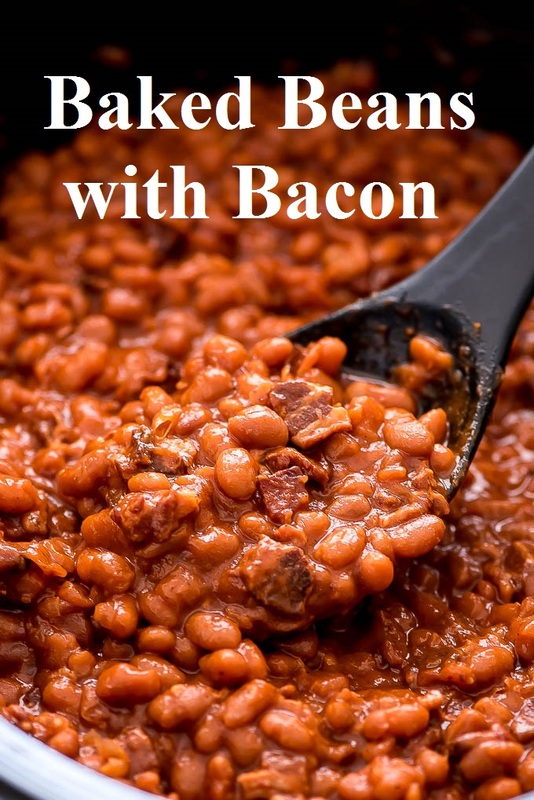 Want to say tasty and easy in the same sentence? 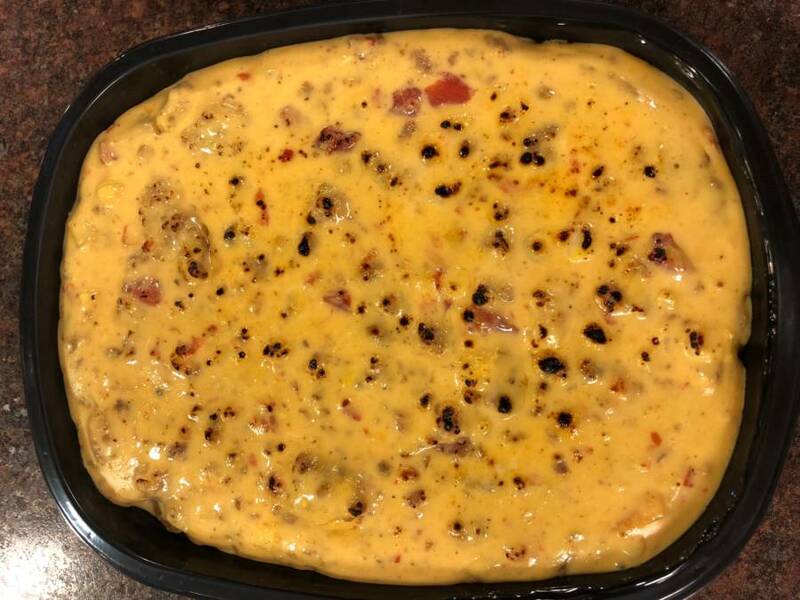 Try our Quick & Easy Meals! 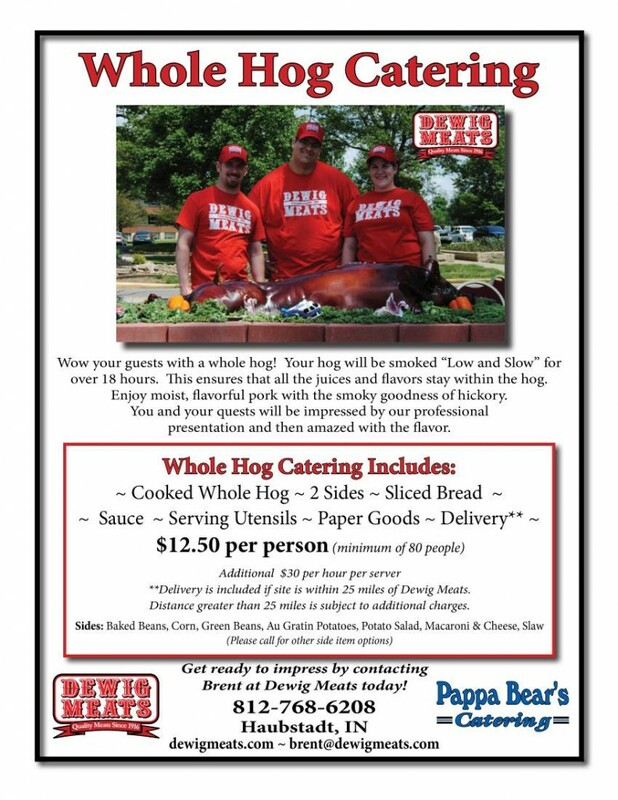 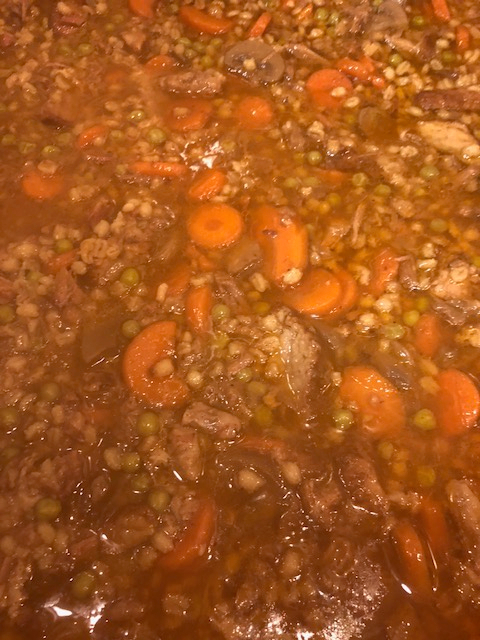 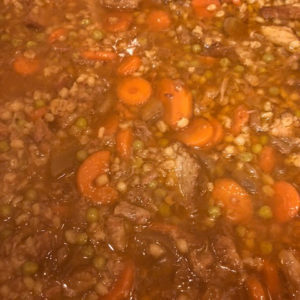 Items are all homemade by Pappa Bear’s Catering by Dewig Meats and come precooked and frozen… just reheat in the microwave or oven & eat! 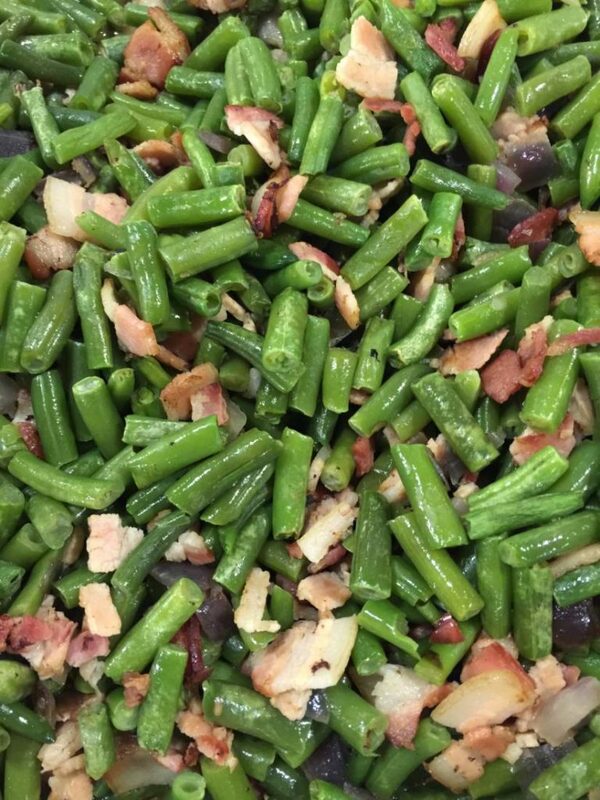 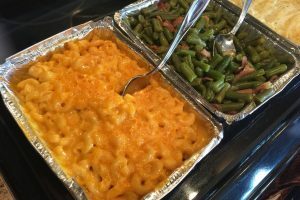 Items such as Macaroni & Cheese, Twice Baked Potato Casserole, Broccoli, Rice & Cheese, Green Beans, Corn, Blueberry Fluff and many more! 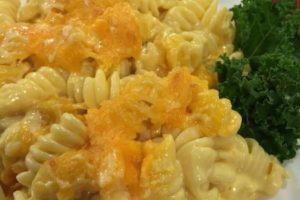 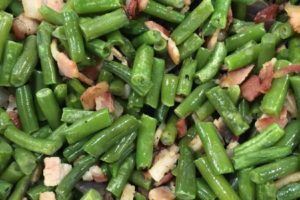 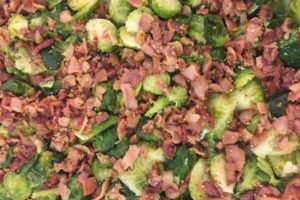 This is a great quick and easy meal option as well for busy families! 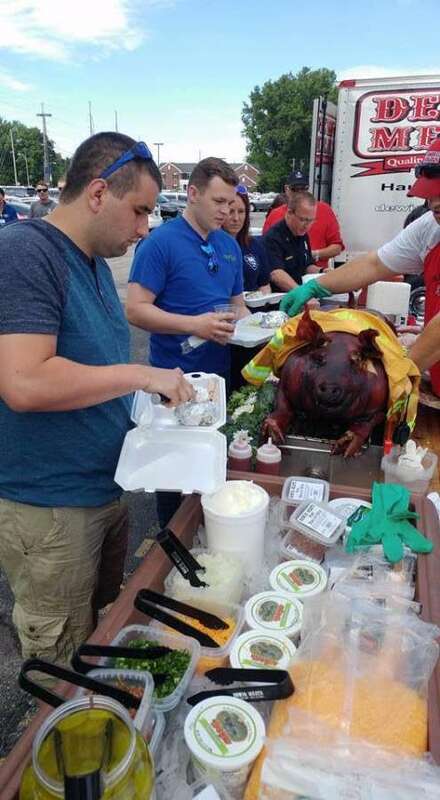 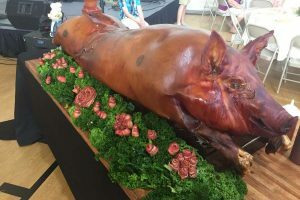 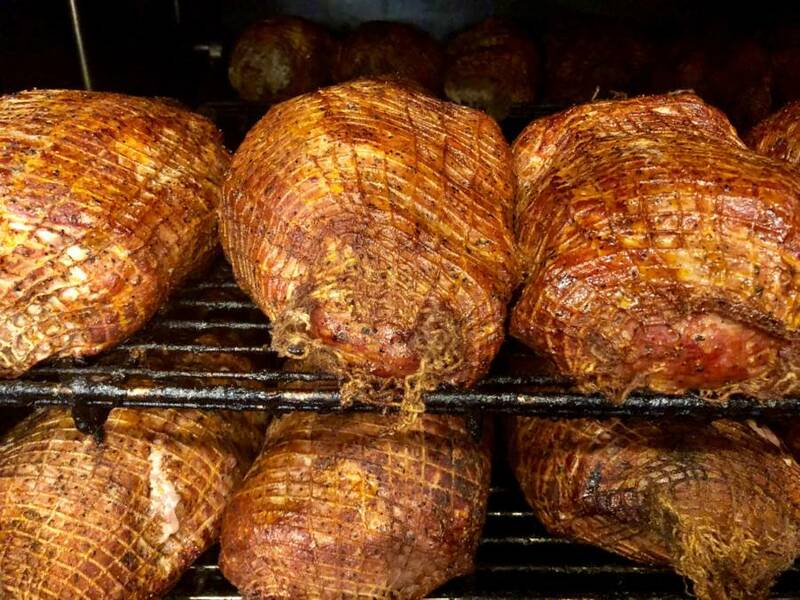 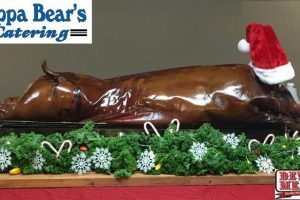 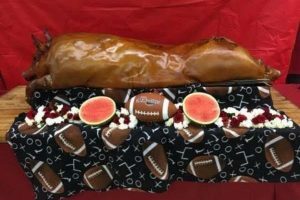 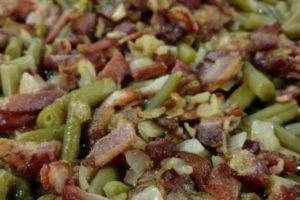 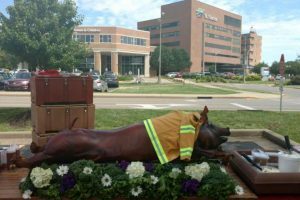 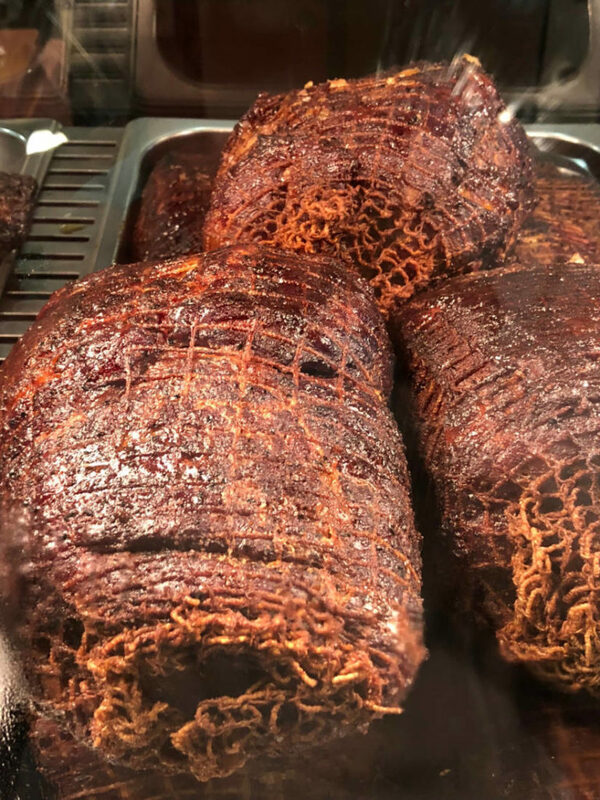 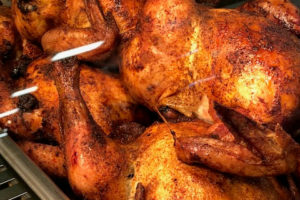 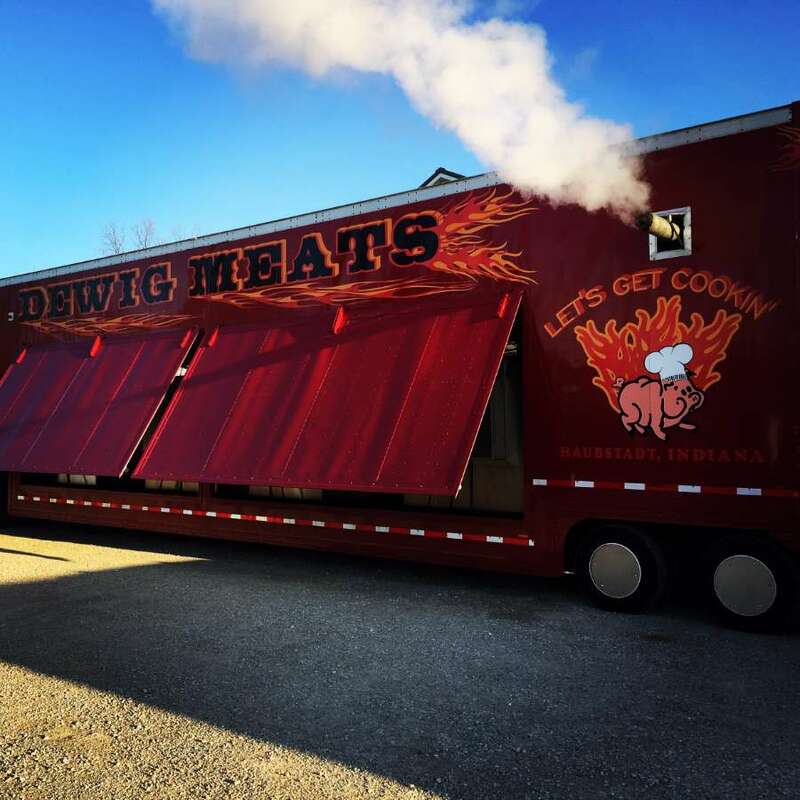 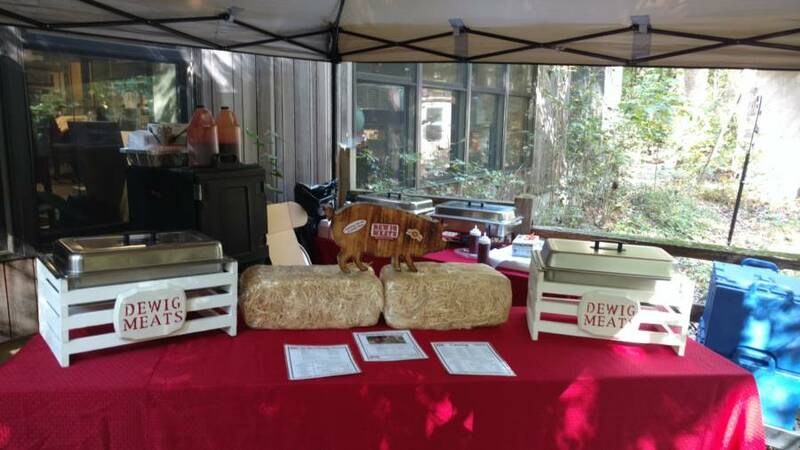 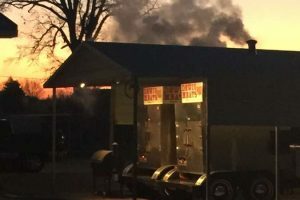 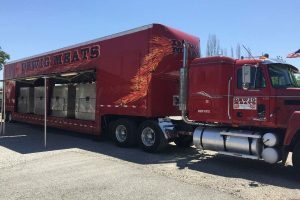 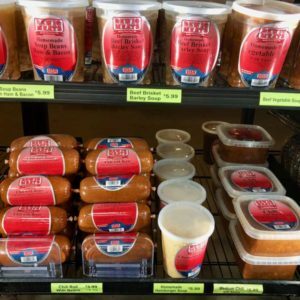 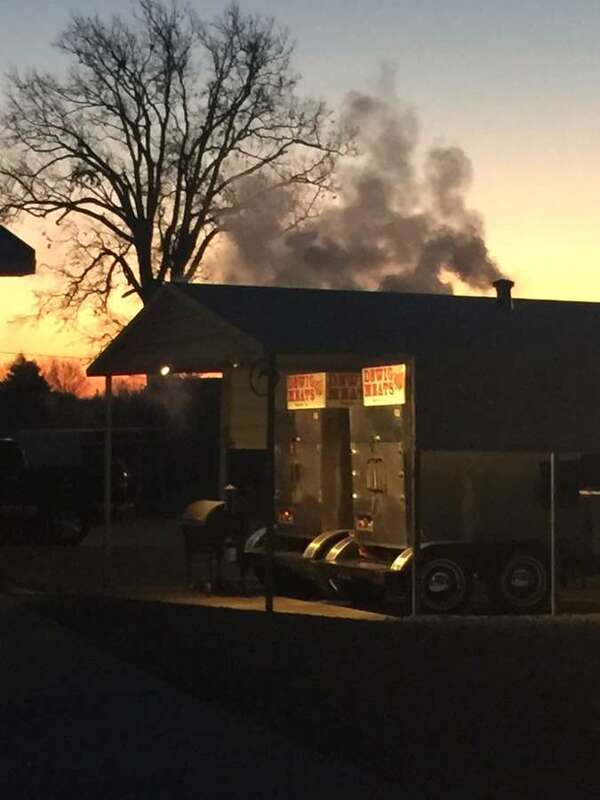 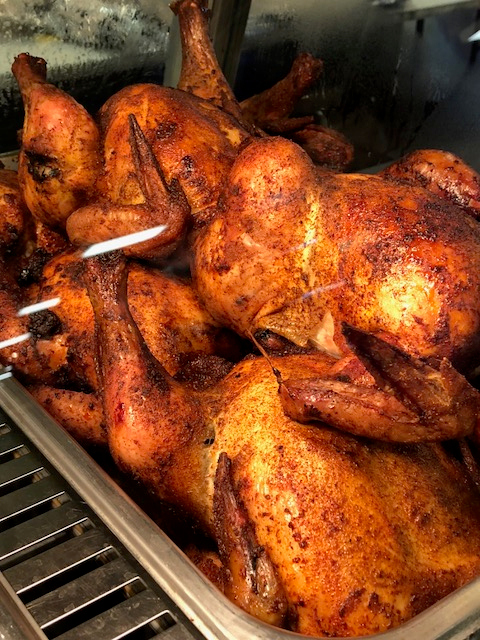 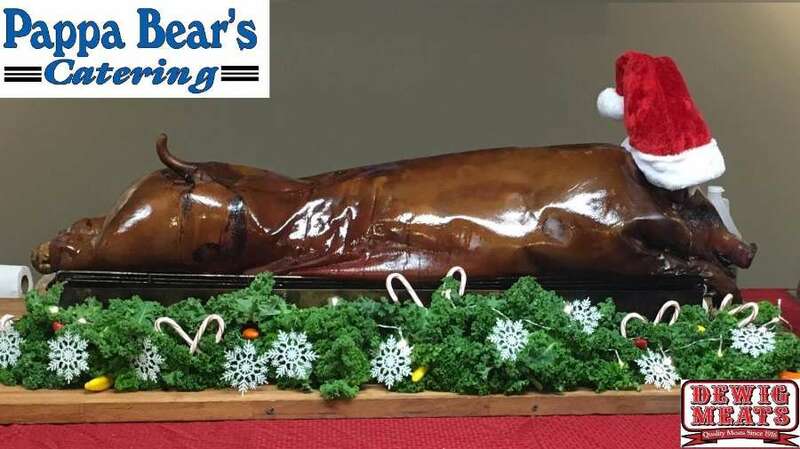 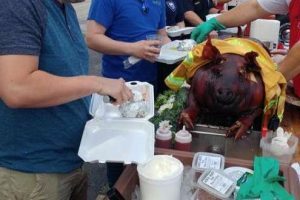 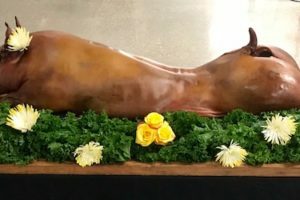 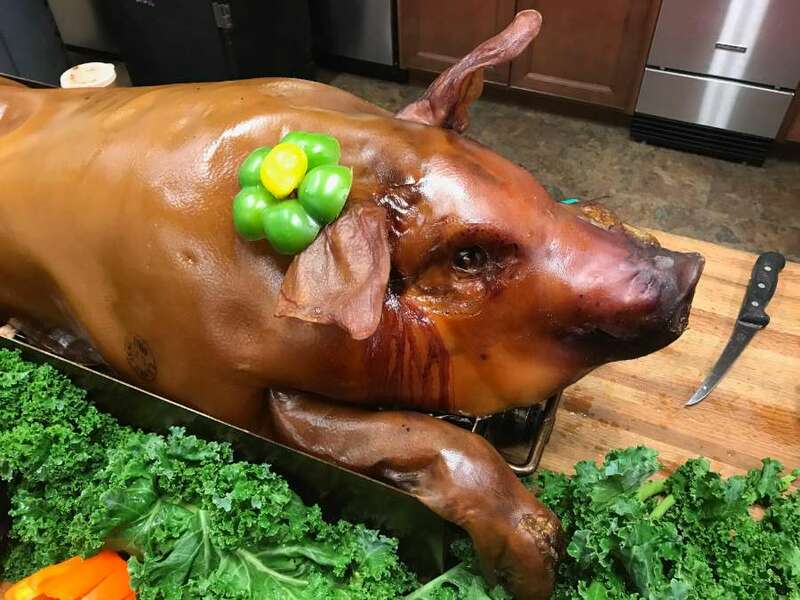 Dewig Meats currently offers 3 catering types to fit any occasion: Cooking On Site Catering, Pick Up or Delivery Catering, and Whole Hog Catering. 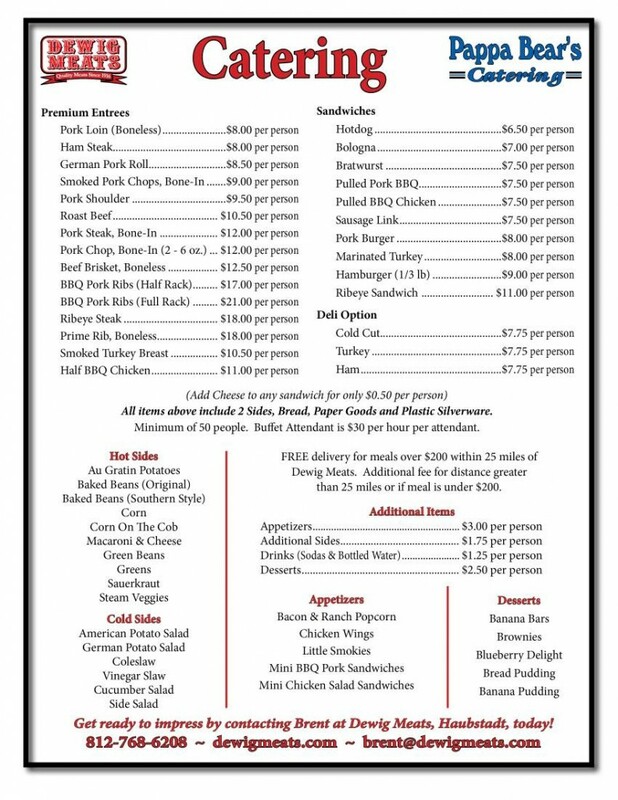 Please click on a flyer below to learn more about each type. 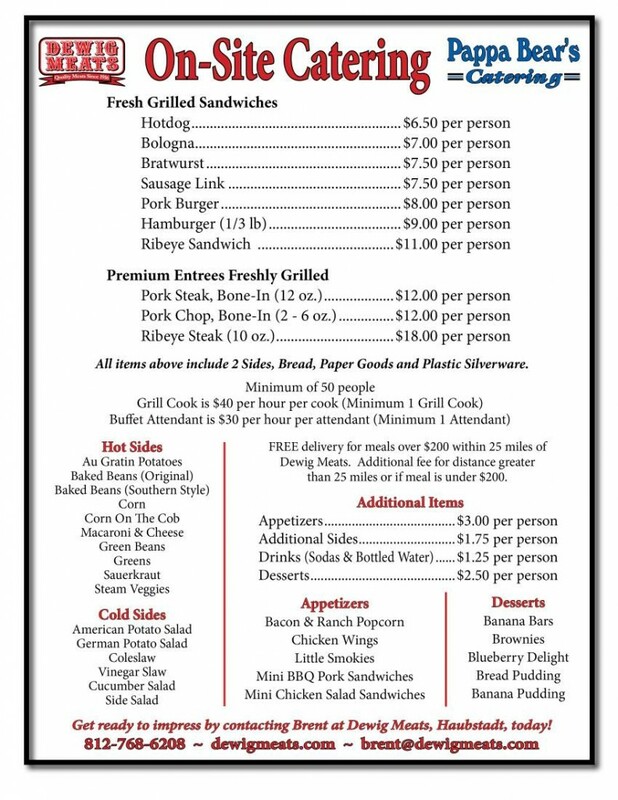 Please read our Terms & Conditons of Catering. *After 2 hours of service there will be a charge of $40.00 per hour of service. 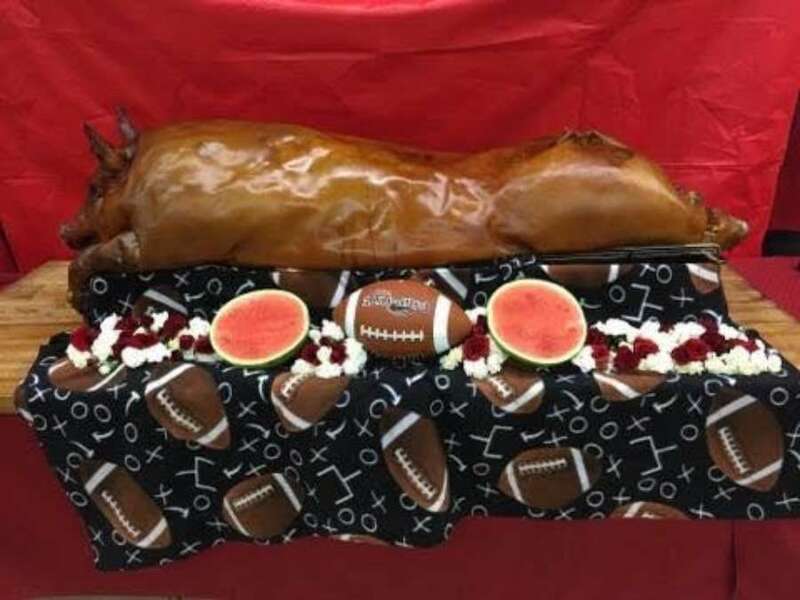 What a presentation! 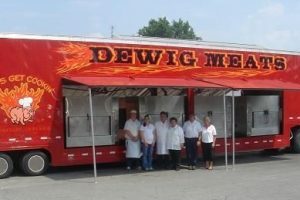 Dewig Meats full line catering service will cook your meal on site. 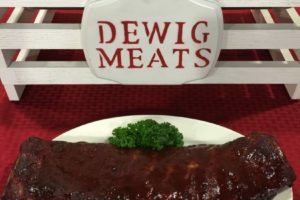 If you are looking for a smoker to smoke your Boston Butts, or a grill to cook your steaks Dewig Meats can accommodate many requests. 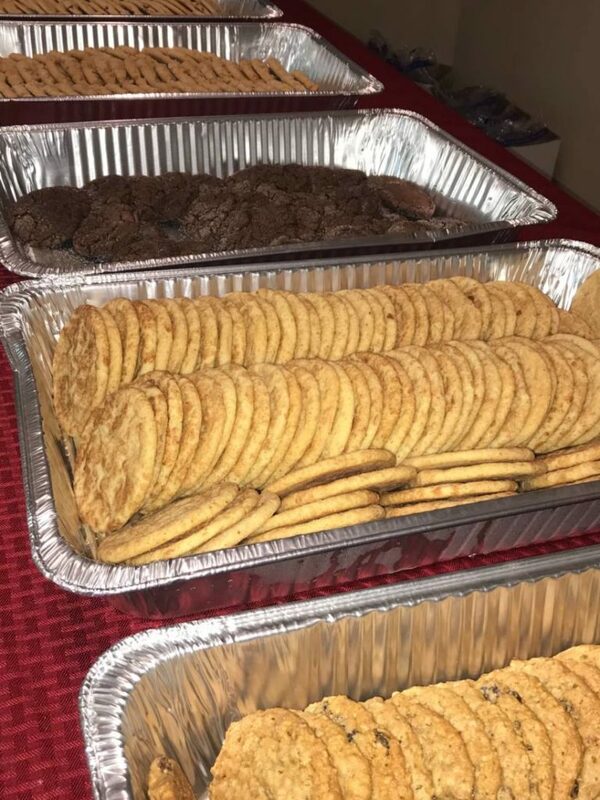 No party too big, no party too small. 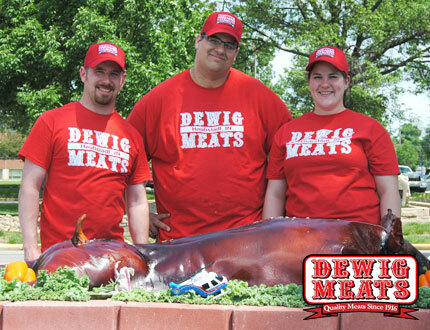 Dewig Meats can cook them all! 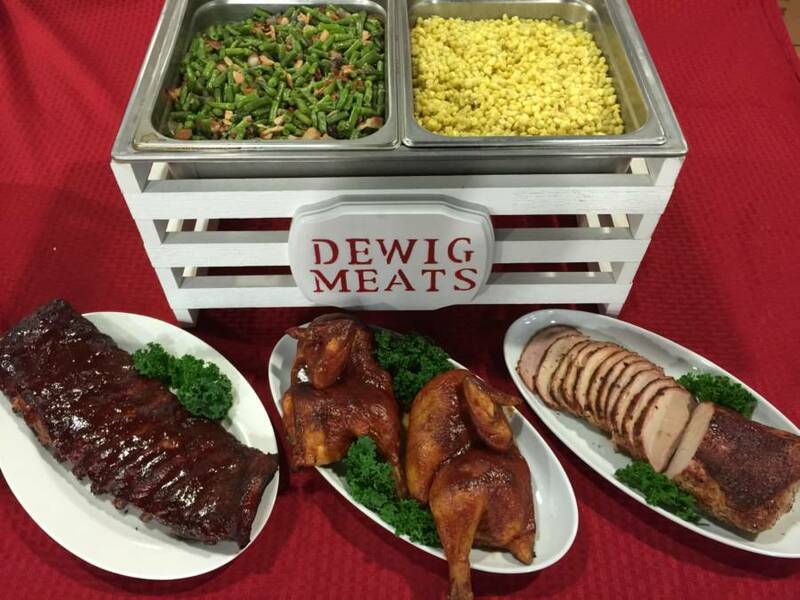 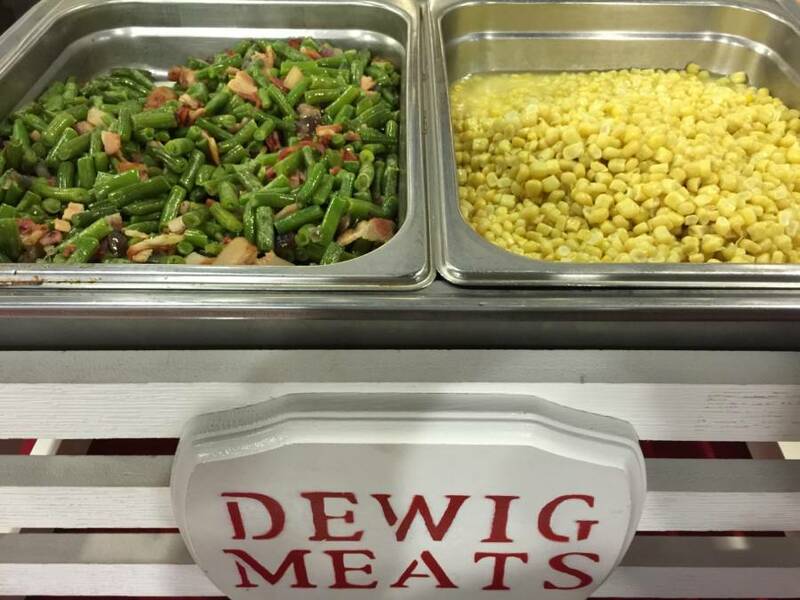 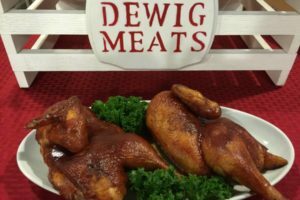 Dewig Meats can make your catering event convenient. 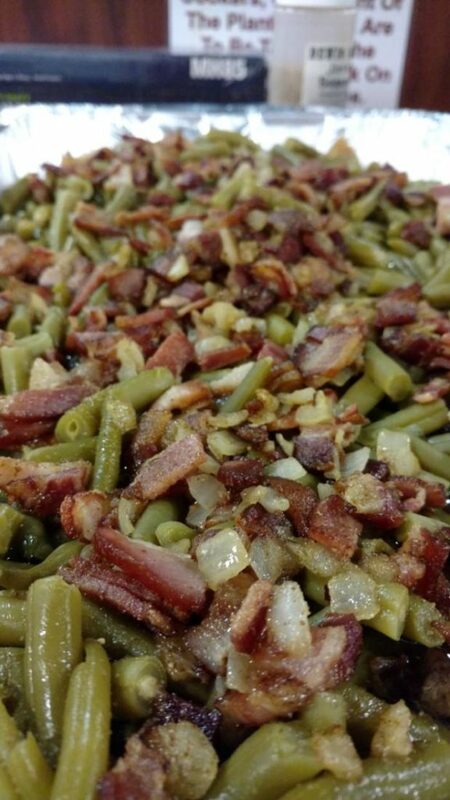 Either pick your catered meal up at our location, or we can deliver to you. 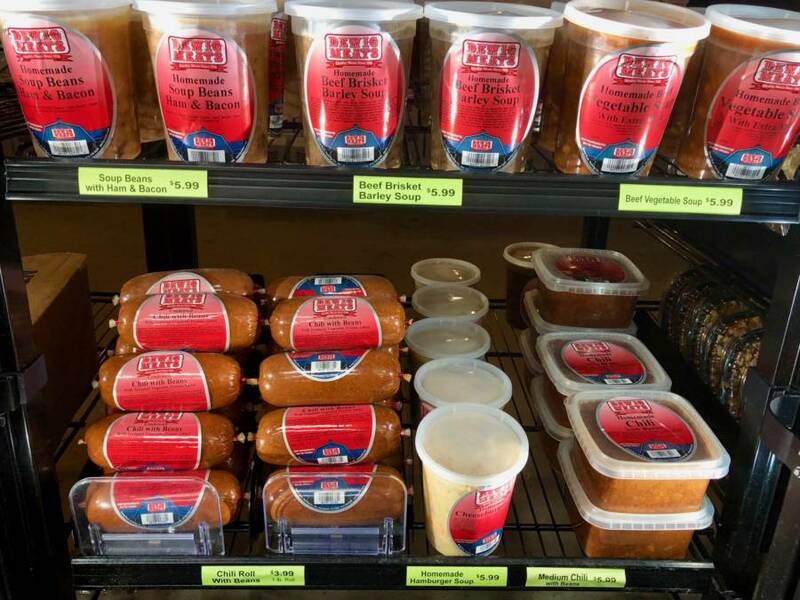 All items are neatly packaged, and all you have to do is display and serve. 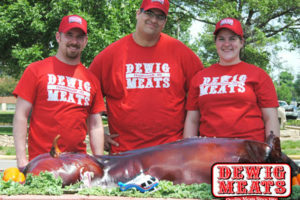 Special rates apply to out of area deliveries. 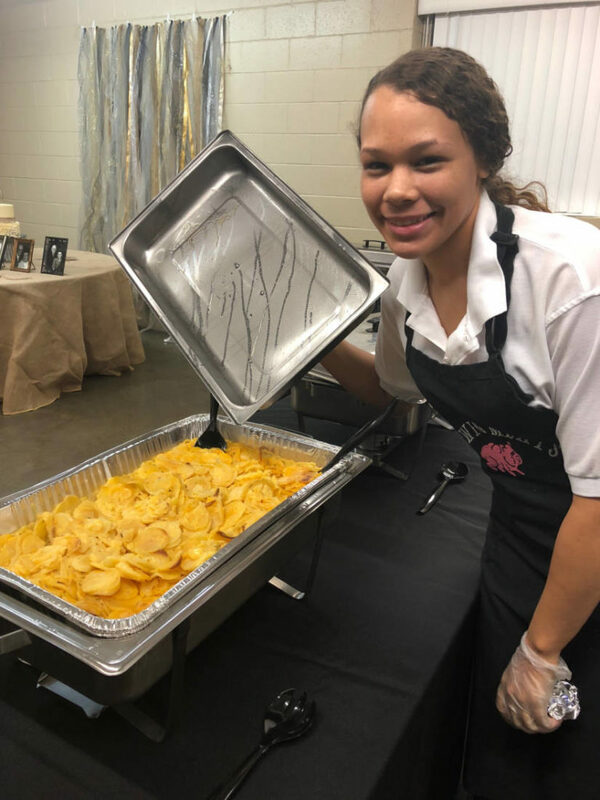 Interested in Catering services for your event? 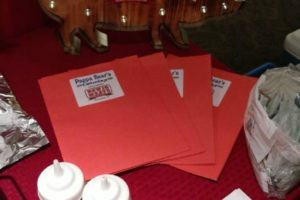 Please fill out as completely as possible and someone from the store will get back to you with more information.